The Trim Optimization Tool adds trim and draft optimization for enhanced fuel savings. 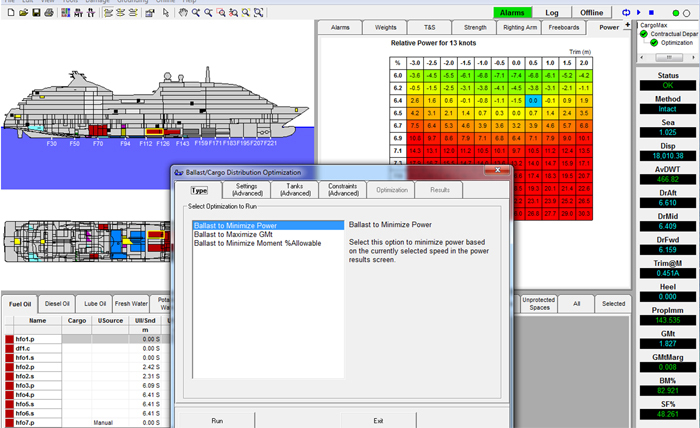 Trim and draft optimization has for many years been known as a way to optimize the fuel efficiency of a vessel. The applied method is to conduct model tests in calm water covering relevant speeds and drafts for the operational profile of each vessel class.